Today we kick off our first of many customer feature posts. We want to start featuring our business customers who have put their trust in us to help solve their communication, networking and Internet needs. Our first featured business is our newest, Tubbs by Grubbs. They too are a family owned and operated business. The photos below show their professional and fun sides. Also, keep reading to learn more about their company and their services. Donnie Grubbs Vinyl Siding Company was established in 1976 by their founder and namesake, Donnie Grubbs. Donnie had been in the construction business for 9 years at that time, first constructing metal buildings and later having his own construction company. In 1976, the company was formed as a siding installation sub-contractor for many local companies in North Louisiana. 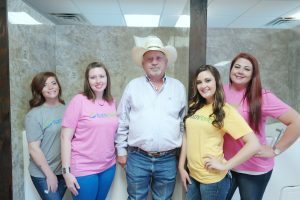 Donnie started out with three helpers, and then grew the business to include 12 crews working a 3-state area surrounding North Louisiana. 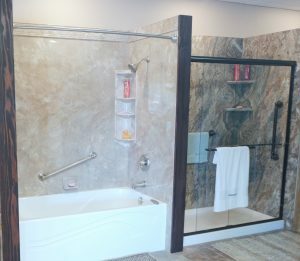 Their initial business was only vinyl siding; however, in the past 20 years, they have expanded their business to include Patios, Screen Rooms, Sun Rooms, Metal Roofs, Gutters, Decks, Replacement Windows/Doors, Storm Windows/Doors, Mobile Home Roof-Overs, and most recently got into doing tub overlays. They have also gotten into showers and safety-tubs. Today they have three siding crews, two patio cover crews, two metal roofing crews, one window crew and four bathtubs crews and arrange for other construction help as their projects require it. They provide almost any exterior home Improvement project. In recent years, they have averaged about 450 jobs per year. Tubbs by Grubbs was founded in September 2009 this is where they put an acrylic overlay on top of your old tub and can also cover up all the tile surrounds in the bathroom. They are a small private, family-owned business that offers Big Business Service. Their revenues last year were in excess of $4M, and they achieved approximately 30% growth over the prior year. 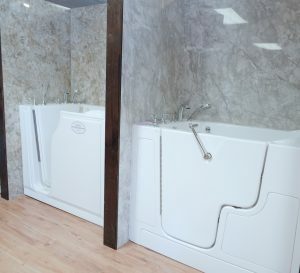 They are committed to a high standard of quality and craftsmanship. They have an outstanding record with the Better Business Bureau and have a large base of satisfied customers who know they get the best value for their home improvement dollars spent.